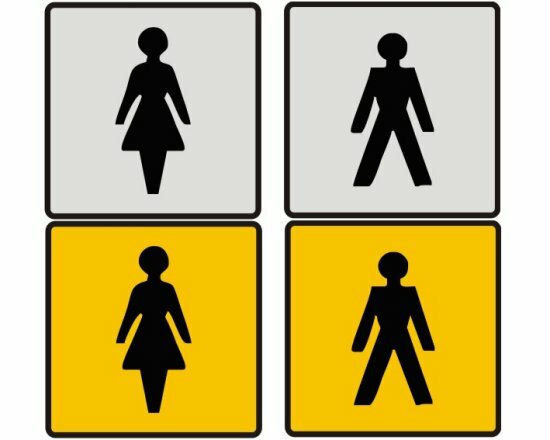 Male & Female Metal Toilet Door Signs. They measure 5” x 5” square. They are available in Brushed Silver and Brushed Gold and the print and border is in black. They come in sets of 2, 1 female and 1 male sign. They don’t come with any fixings to enable you to choose how to affix them to your appropriate surface.